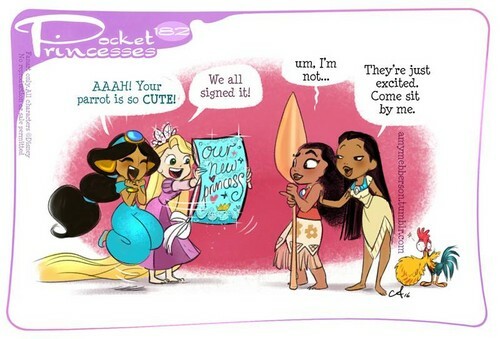 Pocket Princesses Comic: Moana is Our New Princess!. . HD Wallpaper and background images in the putri disney club tagged: photo pocket princesses moana New princess jasmine rapunzel pocahontas hei hei.